Like Steve, on this side of the Atlantic release dates can be problematic. Melanie Pain’s “Bye Bye Manchester” made a yearlist last year, but it shows up to me as a 2013 release. Far and away the number one album for me this year, but there are many other good ones. I thought it would be tough to come up with 10. I’ve had to trim instead. Perhaps not such a bad year for filles, looking back. 11. Elsa Kopf, “Marvelously Dangerous”. The English title misleads a bit, as unlike Elsa’s “Acoustic Joys”, here she sings mostly in French. I confess some of Elsa’s singing is almost too perfect and sweet for me, but every time the music shuffles to Elsa I find myself stopping what I’m doing to listen anyway. A puzzlement. My favorite, “un chat, un chat”. 10. 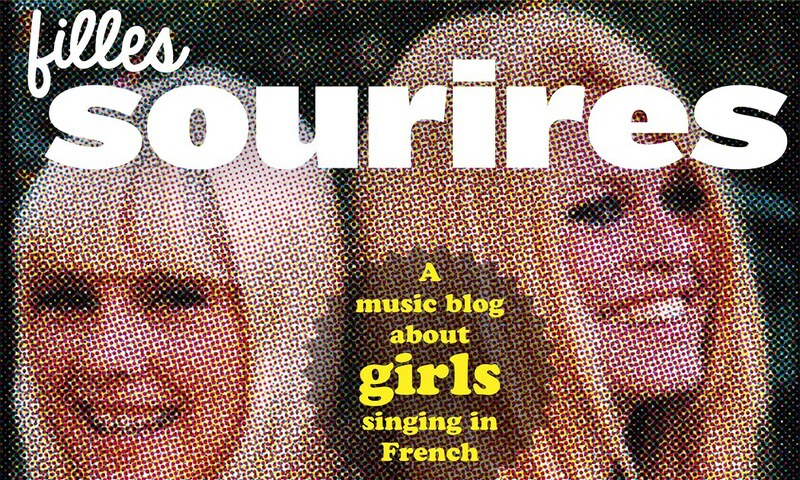 Clarika, “La Tournure des Choses” – Clarika will be familiar to long time “Filles Sourires” fans, but somehow her latest effort escaped mention. Clarika continues to surprise hitting it perfectly with “C’était Mieux Avant”. 9. Maude, “Le Temps Inventé”. First newcomer on this list. Maude’s voice drives every song, clear as a bell, calling Marie-Pierre Arthur to mind, but Maude stays more towards the folk side, as you might expect of a Granby music festival participant. A pity, in a way, as “Coeur En Boule” is far and away the best song on this CD, but I like most of the songs on this CD. Here’s “Si Le Monde” . 8. Mell, “Relationship Cheap”. Drifing away for a moment from the sweetness and light side, clearing whatever the ear’s equivalent of the palate might be, Mell put out another hard driving rock album. “Oh Mon Amour” works on a variety of levels, with Mell’s signature guitar and vocals. Here’s a video of “Un Pied Dans Le Vide”. 7. Anik Jean, “Schizophrène”. Drifting even further away, Anik continues her Goth/heavy metal ways. Anik’s another favorite, and her fourth album doesn’t disappoint, with “Tu Es Mon Enfer” as an example. 6. Maissiat, “Tropiques”. Amandine Maissiat, previously of Subway, put out her first album early in the year. “Tropiques” includes songs from her previous EP, but with enough new material to make the purchase worth it. Here’s a video of Maissiat performing “Havre-Caumartin”. 5. Auren, “J’ose”. If you like Austine, there’s a fair chance you will like Auren. Girl/guitar/acoustic with low voice that carries her songs effortlessly, capturing attention like a whisper in the ear. And she’s pretty, of course. Another video here. 4. Les Soeurs Boulay, “Le Poids Des Confettis”. I can’t add anything more than Steve has already said. A favorite. Recommended. 3. Robi, “L’hiver Et La Joie”. When I first heard Robi thanks to Filles Sourires last year, I kept a close eye out for Robi’s first album. Wow. The first three songs on this CD got a lot of air time with me this year. Video: Où Suis-Je . 2. Marie Cherrier (pictured above), “Billie”. I confess I sometimes can’t tell one pretty voice from another. I can always pick out Marie’s, though. My favorite: “Scotch”. 1. Moongai, “Cosmofamille”. I’ve only had this CD for this past month, but it’s already got a lot of play. One of those albums you can play straight through without wanting something different. When Guuz says “this could be big”, I pay close attention. Moongai’s electronic/pop style reminds me somewhat of a U.S. duo, “Bitter:Sweet”. Here’s Cosmofamille. That would explain our different accents. Greetings from the other coast. I have a little less catching up to do vis-a-vis your year list, but only due to my tendency to buy CD’s shortly after reading your posts. Just downloaded Marianne Bel – excellent. But the stand-outs are Marie Cherrier who kind of reminds me of a young (think M&J) Vanessa Paradis. Robi just has one of those voices I’d crawl over broken glass for… Wow – the Anik Jean album is now in my collection and is absolutely stunning… and I fear I may well have to find out more about Moongai!